Monday, 31 December 2018, 7:05a.m. The 2019 New Year's Honours have today been announced. The Herald talks to some of the recipients. Member of the New Zealand Order of Merit for services to microbiology and science communication. 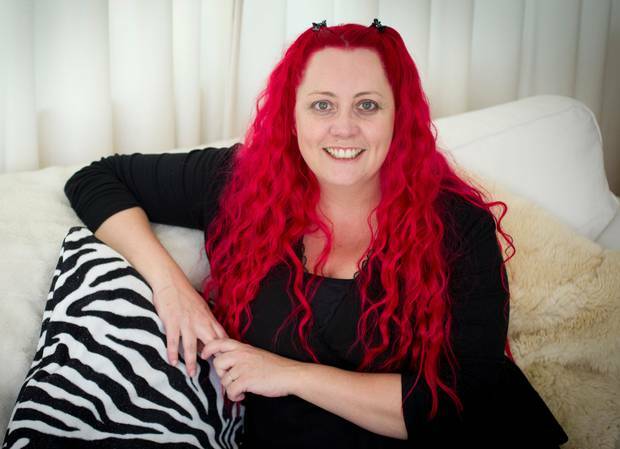 She's the pink-haired fun-loving microbiologist who takes the jargon out of science. Dr Siouxsie Wiles, the head of Auckland University's Bioluminescent Superbugs Lab, is a "science communicator". She has used blogging and podcasts to make science less of a mystery for the masses. Bioluminescent bacteria art exhibitions, and a show about microbiology for kids co-hosted with her daughter Eve, are other ways she's shown the public just how much fun can be had in a lab. Wiles was flabbergasted to be told of her New Year Honour. "I mean it's amazing. It came in a letter and it was fancy writing and it was like 'wow'. I didn't know what it was at first." Yet the science nut felt like she'd only got started, saying NZME she couldn't list her proudest career moment. "I still feel like I really haven't achieved much yet. There's so much more I want to do." The New Zealand Antarctic Medal for services to Antarctic science. New Zealand's foremost sea-ice scientist is startled at being the first woman to be awarded the Antarctic Medal, though she has seen an epic thaw in gender equality over her career. Professor Pat Langhorne is being honoured for services to Antarctic science. When told she would be the first woman to receive the decoration, she was very surprised. "It is nonetheless a great honour and I am very excited about it," Langhorne said. The Otago University physics professor has been travelling to Antarctica on research visits for more than 30 years and said the demographics in the field had changed dramatically. "Nowadays, when we go to a sea ice conference, there are nearly always as many women as men in the audience – and what's more, the women are younger. So, carrying on, there's going to be lots of women out there doing great stuff. "And there are now many women who are right up there at the very highest levels of the research career path and making a big difference in science." The Scotswoman first made her way to New Zealand and then Antarctica in 1985 to take part in an experiment examining the strength of sea ice, which had since underpinned the use of sea ice runways for large aircraft. She'd been fascinated with Antarctica since she was a teenager. "I think it's the kind of thing that gets under people's skin. You might even think about it as an addiction perhaps … it's a stunning part of the world. It is vast. Is it awesome." As a young woman, Professor Langhorne never thought she'd make it to Antarctica, as the British Antarctic Survey didn't take women at the time. "So to have it turn around, is doubly satisfying." Officer of the New Zealand Order of Merit for services to poetry, literature and the Pacific community. 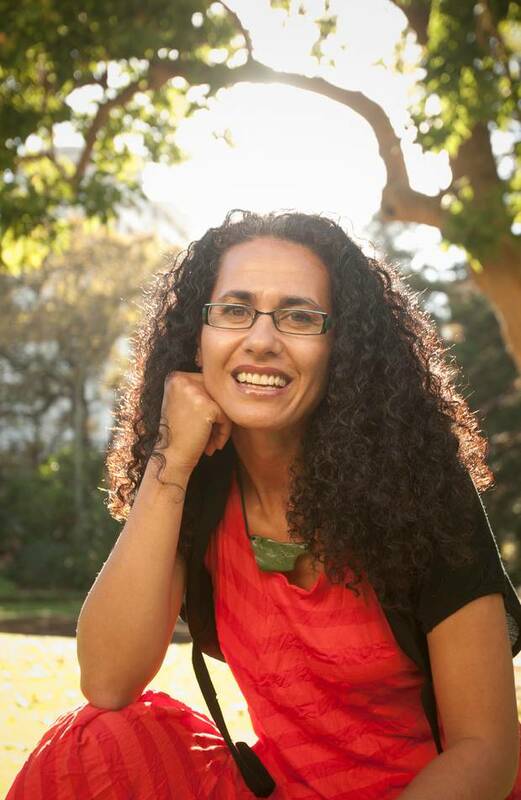 Just days before her New Year Honour was announced, New Zealand Poet Laureate Dr Selina Tusitala Marsh was proving she's a woman of actions as well as deeds. Marsh, the first person of Pacific descent to graduate with a PhD in English from the University of Auckland, was fixing a water pump at her Waiheke Island home before a supermarket shop for her family's Christmas dinner. She said receiving the honour felt wonderful and was external validation not just for her but for poetry in our communities. The Associate Professor at Auckland University, Marsh, our 11th Poet Laureate, was also on the board of the New Zealand Book Council, brought poetry to low-decile schools via its Writers in Schools Project and was conference convenor of the Association for Commonwealth Literature and Language Studies. She represented Tuvalu at the 2012 London Olympics Poetry Parnassus event, won the 2015 London Literary Death Match poetry slam event and was the 2016 Commonwealth Poet which meant writing and performing a poem before the Queen in Westminster Abbey. Companion of the New Zealand Order of Merit for services to health. Surgeon Philip Bagshaw is being made a Companion of the New Zealand Order of Merit for services to health. He was among four people who established the Canterbury Charity Hospital just over a decade ago - and remained a volunteer specialist general surgeon. Bagshaw said it started out as an experiment in a mobile surgical bus, and had helped something like 18,000 people who were otherwise falling through the gaps between the public and private systems. He had led a long list of health bodies and committees over his career and believed we were way behind in our thinking on health, and hooked on the idea it was a big expense. "Trying to save money in health and education are both very bad ideas. The more you put into them the more you get back. Not only in terms of very healthy people – but actually it saves money at the same time." Companion of the New Zealand Order of Merit for services to the community. A man who has dedicated his life to New Zealanders who are doing it tough is being recognised for services to the community. The Salvation Army's Major Campbell Roberts had been with the Sallies since 1970 and was the founding director of its Social Policy and Parliamentary Unit. He had overseen the organisation's hospice and home care, community food banks, early childhood education, plus prison reintegration and addiction treatment. He was appointed to The Salvation Army International Moral and Social Council in London from 2007 to 2016 and was a consultant in the establishment of the International Social Justice Commission of the Salvation Army at the UN in New York. Roberts had also held governance roles on a range of boards including the New Zealand Housing Foundation, Habitat for Humanity and the Dunedin Council of Social Services. Companion of the New Zealand Order of Merit for services to the New Zealand Defence Force. Lieutenant General Timothy Keating – Chief of New Zealand's Defence Force – has been made a companion of the New Zealand Order of Merit for his services to the Defence Force. 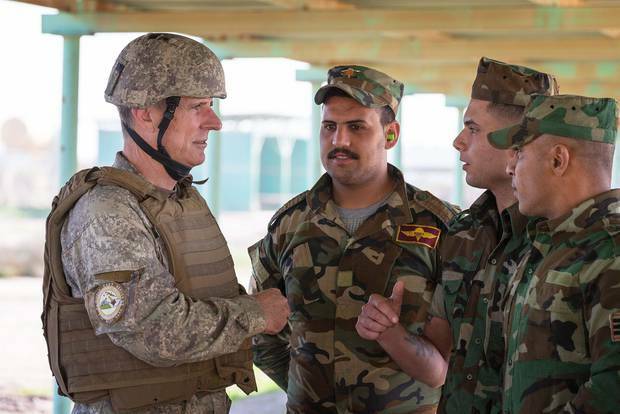 Appointed to the job in 2014, Keating was responsible for the Defence Force's training of Iraqi Defence Force personnel to respond to the rise of Islamic State. He also oversaw New Zealand's contributions to anti-piracy efforts in the Middle East. Outside the Middle East, Keating was in charge of the Defence Force when it responded to natural disasters in Vanuatu, Fiji and Tasmania as well as a number of natural disasters domestically. He was also responsible for a number of programmes within the Defence Force that aimed to improve welfare and support for military families. These include Force for Families – an information hub and discount scheme for military families – and the Operation Respect programme, which was established to challenge deep-seated cultural norms to make the Defence Force a safer place to work. He also championed the More Military Woman programme, as well as new mental health and wellbeing strategies. Keating oversaw New Zealand's World War I/Gallipoli centenary commemoration programmes in November. Keating was made a member of the New Zealand Order of Merit on the Queen's Birthday, 2008. Member of the New Zealand Order of Merit for services to people with disabilities. 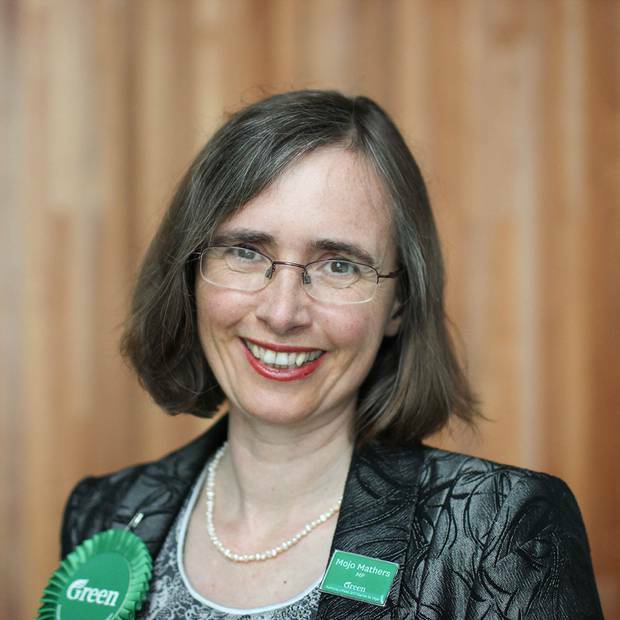 Former Green Party MP Mojo Mathers has been made a member of the New Zealand Order of Merit for her services to people with disabilities. Mathers was New Zealand's first deaf MP, coming into Parliament in 2011 and sitting until 2017. "It's really lovely to have my work recognised in this way. I'd not had any idea that my name had been put forward, so it came as a surprise, and I feel very touched," she said. As an MP, she advocated for improved accessibility and access to political information for those with disabilities. Her efforts resulted in the use of sign language interpreters in Parliament and the captioning of live screening of Parliamentary sessions. Mathers said it was important that parliamentary debates were accessible to everyone. "It is one of these fundamental things that helps ensure a healthy strong democracy". Mathers also engaged in more general advocacy for the right of people with disabilities, including raising awareness of the barriers disabled people face in accessing employment. Beyond disability advocacy, Mathers was the founder of the Malvern Hills Protection Society, a group which prevented the construction of a new dam in Canterbury which would have flooded part of the Waianiawaniaw River. She also led an eight-month campaign which resulted in a ban on animal testing of cosmetics, for which she received the international Lush prize in 2015. Officer of the New Zealand Order of Merit for services to documentary filmmaking. 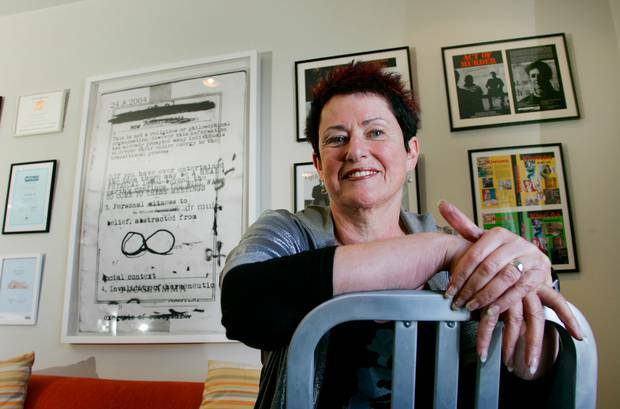 Documentary maker Shirley Horrocks is being honoured for her work chronicling the lives of some of New Zealand's most well-known artists. The prolific filmmaker had profiled figures such as Len Lye, Marti Friedlander, Allen Curnow, Albert Wendt and most recently Sir Paul Callaghan. She had also covered minority areas such as Māori and Pacific Island topics, disability groups, women's issues, and diversity. Many of her films had a strong regional focus, such as her film on Free Theatre's activities following the Christchurch earthquakes, or Tom Kriesler's art activities in New Plymouth. Her documentaries had been presented at film festivals within New Zealand and internationally and she had won a number of awards. Horrocks had been the most screened New Zealand director at the New Zealand International Film Festival. Frances Ann O'Sullivan for services to journalism and business. Thomas Michael O'Connor, JP, for services to seniors, local government and journalism. Pauli Hifo Ma'afu for services to the Pacific community. Janice Robyn Kathleen O'Connor for services to local government and the community. Garry William O'Neill for services to historical research. Kevin George O'Sullivan for services to the Coastguard. Will the 'Christchurch Call' work?